This article is about the body of water. For the U.S. Naval base, see Guantanamo Bay Naval Base. For other titular locales and uses, see Guantánamo (disambiguation). The United States assumed territorial control over the southern portion of Guantánamo Bay under the 1903 Lease agreement. The United States exercises complete jurisdiction and control over this territory, while recognizing that Cuba retains ultimate sovereignty. 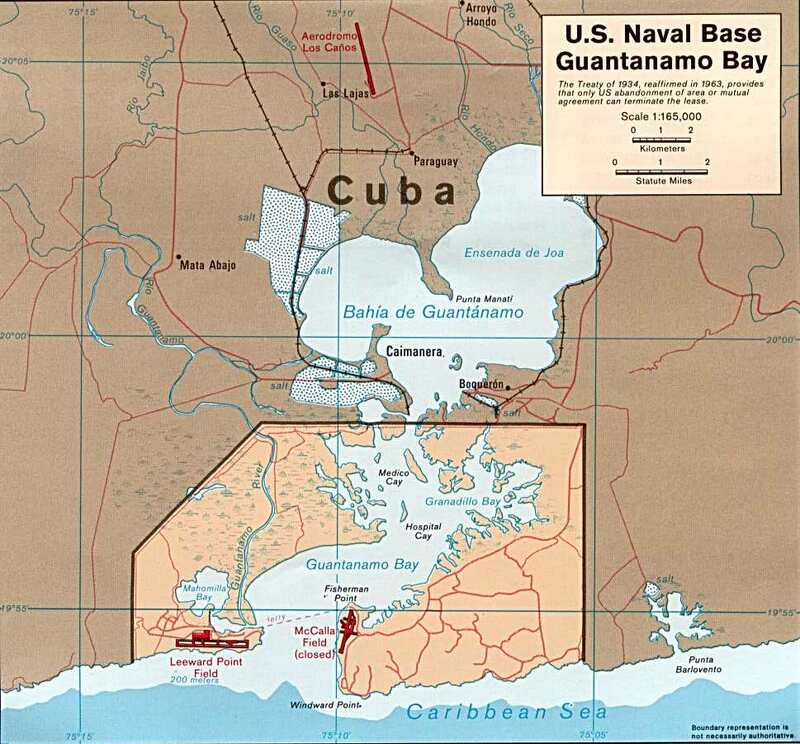 The current government of Cuba regards the U.S. presence in Guantánamo Bay as "illegal" and insists the Cuban–American Treaty "was obtained by threat of force and is in violation of international law." Some legal scholars judge that the lease may be voidable. It is the home of the Guantanamo Bay Naval Base and the Guantanamo Bay detention camp located within the base, which are both governed by the United States. Since the 1959 revolution, Cuba has only cashed a single lease payment from the United States government. Guantánamo Bay has a hot semi-arid climate according to the Köppen climate classification, with high temperatures throughout the year. Rainfall is rather low, and it is one of the driest regions in Cuba. The United States first seized Guantánamo Bay and established a naval base there in 1898 during the Spanish–American War in the Battle of Guantánamo Bay. :160–163 In 1903, the United States and Cuba signed a lease granting the United States permission to use the land as a coaling and naval station. The lease satisfied the Platt Amendment; this amendment stated a naval base at "certain specific points agreed upon by the President of the United States" was needed to "enable the United States to maintain independence of Cuba." Map of Cuba with location of Guantánamo Bay indicated. The bay was called Guantánamo by its original inhabitants, the Taínos. Christopher Columbus landed in 1494, naming it Puerto Grande. On landing, Columbus' crew found Taíno fishermen preparing a feast for the local chieftain. When Spanish settlers took control of Cuba, the bay became a vital harbor on the south side of the island. The bay was briefly known as Cumberland Bay when the British seized it in 1741, during the War of Jenkins' Ear. British Adm. Edward Vernon arrived with a force of eight warships and 4,000 soldiers with plans to march on Santiago de Cuba. However, he was defeated by local guerrilla forces of creole and Spaniards and forced to withdraw or face becoming a prisoner. In late 1760, boats from HMS Trent and HMS Boreas cut out the French privateers Vainquer and Mackau, which were hiding in the bay. The French were also forced to burn the Guespe, another privateer, to prevent her capture. During the Spanish–American War, the U.S. Navy fleet attacking Santiago needed shelter from the summer hurricane season. They chose Guantánamo because of its excellent harbor. U.S. Marines landed with naval support in the 1898 invasion of Guantánamo Bay. As they moved inland, however, Spanish resistance increased and the marines required support from Cuban scouts. Guantanamo Bay was used as a processing center for asylum seekers and a camp for HIV positive refugees in the 1990s. Within six months the USA had interned over 30,000 Haitian refugees in Guantanamo, while another 30,000 fled to the Dominican Republic. Eventually the USA admitted 10,747 of the Haitians to refugee status in the United States. Most of the refugees were housed in a tent city on the re-purposed airstrip that would later be used to house the complex used for the Guantanamo military commissions. The refugees who represented discipline or security problems were held on the site that later became Camp XRay, the initial site of the Guantanamo Bay detention camp. In August 1994 rioting broke out in the detention camps in which 20 U.S. military police and 45 Haitians were injured. 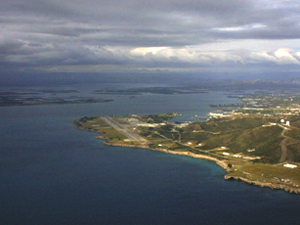 The Guantanamo Bay Naval Base surrounds the southern portion of the bay. 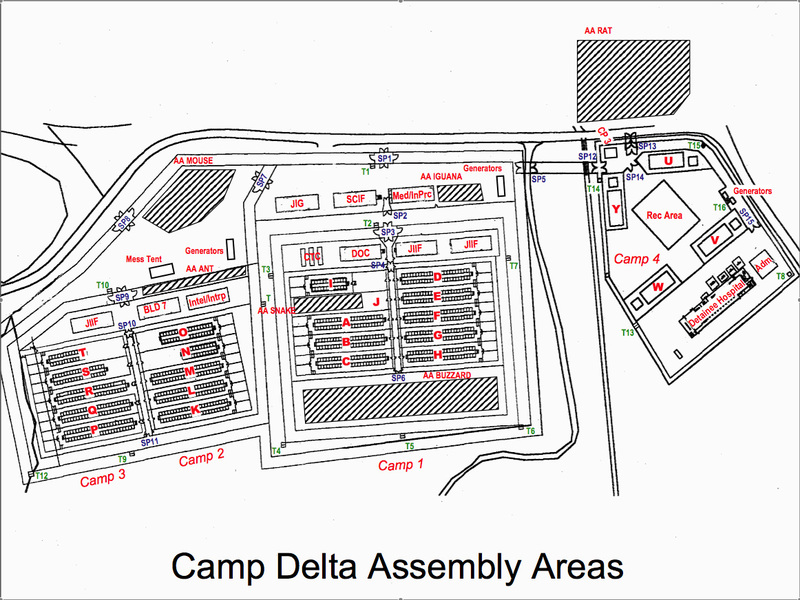 Since 2002, the base has included the detainment camp for individuals deemed of risk to United States national security. In 2009, U.S. President Barack Obama gave orders for the detention camp to be closed by January 22, 2010. As of 2015[update], the detention camp remains open due to a congressional refusal of funds for its closure. The naval base, nicknamed "GTMO" or "Gitmo," covers 116 square kilometres (45 sq mi) on the western and eastern banks of the bay. It was established in 1898, when the United States took control of Cuba from Spain following the Spanish–American War. The newly formed American protectorate incorporated the Platt Amendment in the 1901 Cuban Constitution. A perpetual lease for the area around Guantánamo Bay was offered February 23, 1903, from Tomás Estrada Palma, the first President of Cuba. The 1903 Cuban–American Treaty of Relations held, among other things, that the United States, for the purposes of operating coaling and naval stations, has "complete jurisdiction and control" of the Guantánamo Bay, while the Republic of Cuba is recognized to retain ultimate sovereignty. In 1934 a new Cuban-American Treaty of Relations reaffirming the lease granted Cuba and its trading partners free access through the bay, modified the lease payment from $2,000 in U.S. gold coins per year to the 1934 equivalent value of $4,085 in U.S. dollars, and made the lease permanent unless both governments agreed to break it or until the U.S. abandoned the base property. After the Cuban Revolution, Dwight D. Eisenhower insisted the status of the base remain unchanged, despite Fidel Castro's objections. Since then, the Cuban government has cashed only one of the rent checks from the U.S. government, and even then only because of "confusion" in the early days of the leftist revolution, according to Castro. The remaining un-cashed checks made out to "Treasurer General of the Republic" (a title that ceased to exist after the revolution) are kept in Castro's office stuffed into a desk drawer. Alfred-Maurice de Zayas has argued that the 1903 lease agreement was imposed on Cuba under duress and was a treaty between unequals, no longer compatible with modern international law, and voidable ex nunc. He makes six suggestions for a peaceful settlement, including following the procedure outlined in the Vienna Convention on the Law of Treaties. ^ "Avalon Project - Agreement Between the United States and Cuba for the Lease of Lands for Coaling and Naval stations; February 23, 1903". Avalon.law.yale.edu. Retrieved 2013-03-26. ^ Boadle, Anthony (August 17, 2007). "Castro: Cuba not cashing US Guantanamo rent checks". Reuters.com. Retrieved October 8, 2017. ^ "Weatherbase: Historical Weather for Guantanamo Bay, Cuba". Weatherbase. ^ "Guantanamo Bay [GTMO] "GITMO"". Global Security. 2011-05-07. Archived from the original on 2001-11-13. 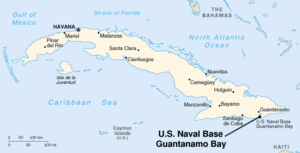 ^ "Gis, Haitians Hurt In Guantanamo Riot". chicagotribune.com. Chicago Tribune. Retrieved 16 August 2015. ^ "Guantanamo Docket". The New York Times. Retrieved 2011-10-01. ^ Boadle, Anthony (August 17, 2007). "Castro: Cuba not cashing U.S. Guantanamo rent cheques". Reuters. Retrieved 2007-12-07. 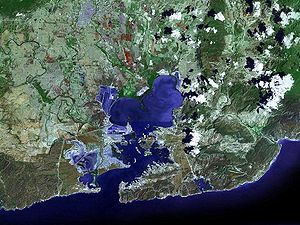 Wikimedia Commons has media related to Guantanamo Bay.